I have been doing quite a bit of reading recently, and wanted to share my thoughts! Verity by Colleen Hoover. This book was mind-blowing. Dark and twisted, and, as an avid Colleen Hoover fan, it is so so much different than all of her other work. But I AM SO HERE FOR IT. The story follows Lowen, who accepts a job as a ghost writer for well known author, Verity Crawford. She has to sort through years of notes and outlines in order to finish the remaining books of a series. She finds more than she bargains for when she comes across Verity’s autobiography – one she never anticipated anyone would read. 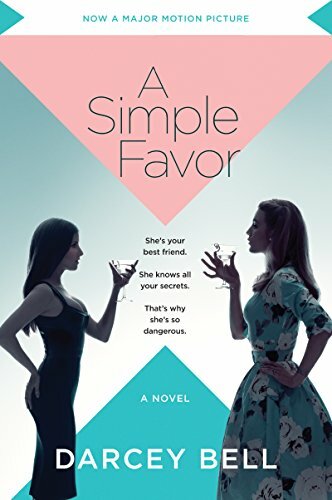 A Simple Favor by Darcey Bell. A friend recommended this movie to me (which stars Blake Lively & Anna Kendrick), and I happened to stumble across that it’s based on a book! We ended up watching the movie before I read the book (while I was recuperating from surgery) but I’m so glad I still finished the book. There’s SO many differences, and overall more details in the book that make the story more captivating. If you’re a fan of Gone Girl twisted-mystery-type stories, you’ll love this. 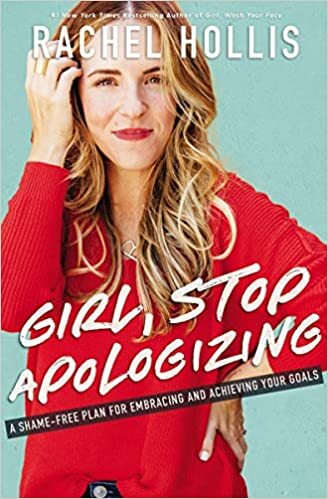 Girl, Stop Apologizing by Rachel Hollis. If you were as big a fan of Girl, Wash Your Face as I was, this is another must-read for you. The “sequel,” if you will, dives into more lies and misconceptions that too often hold us back from living joyfully and productively. “Your pal Rach” is 100% honest, raw, and motivating, and I love that her writing style feels as if she’s talking directly to you as a friend. All in all, she encourages you stop apologizing for who you are meant to be – and I don’t know a single woman who doesn’t sometimes need that reminder. 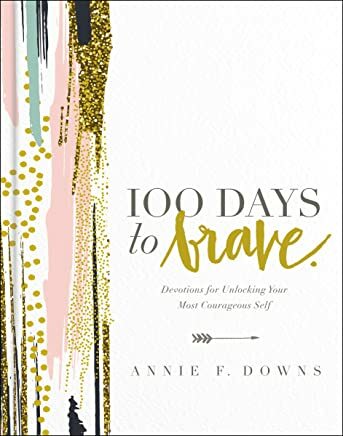 100 Days to Brave: Devotions for Unlocking Your Most Courageous Self by Annie F. Downs I am only about half way through this one, since it will take 100 days to finish, but I honestly look forward to waking up every day and reading the next passage. It’s like I’m starting my day with my best foot forward. There have been a couple days when I’ve forgotten, and it felt like my whole day was off until I got home that evening and could catch up. The book does have a religious base, but I am fine with that, as I can always use a reminder that God is good, and He’s molding me into who I am meant to be. I think I’ve established a new daily habit, and will definitely be picking up another daily devotional book when I’ve finished this one. As always, make sure you follow me on Goodreads! What are you reading? Your girl always appreciates recommendations, so drop yours below!